Are You Paying For Your Frozen Yogurt Cup too? Believe it or not, spring and summer will be here before you know it and we’ll all be looking to cool down at a frozen yogurt shop.Today, many of these frozen yogurt shoppes allow the consumer to dispense as much frozen yogurt the customer wants. The yogurt is priced at around fifty cents per ounce. So if you want different flavors or a cup that is filled sky high you are able to do that. However, the real question is are you paying for just the yogurt and toppings that you consume or are you also paying for the cup that the yogurt is placed in? Fortunately we have electronic scales available that make this process fairly easy to accommodate. Contact the sales staff today (919) 776-7737 and they will be happy to provide you prices for the scales that will work best to accommodate weighing frozen yogurt by the ounce and using the tare feature to subtract out the weight of the cup. 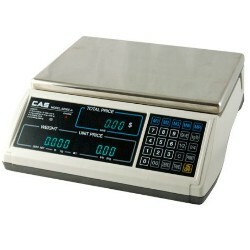 We have standard legal for trade counter top scales. We have point of sale scales that can connect to your cash register. Finally, we have price computing scales that can display the weight and price on both the front of the scale and the back of the scale. A good way to cool off from the extreme summer heat is to visit the neighborhood frozen yogurt shop for a cupful of ice cold frozen low fat yogurt. Regardless of whether your frozen yogurt options are simple like chocolate or vanilla, or perhaps some type of a mixture of flavors or toppings, frozen yogurt is an excellent method to cool down and relax for a couple moments on a sizzling day. However, for frozen yogurt shop proprietors there are a few differences when talking about charging shoppers for the frozen yogurt. Should you charge potential customers a set fee depending on the size frozen yogurt they purchase? If that’s the case, how can you figure out what a “small” yogurt consists of? Exactly how much yogurt is within a “large” cup? You may be gifting away product employing this procedure. Or, you could potentially charge for your frozen yogurt by utilizing a legal for trade frozen yogurt scale that weighs in ounces. Typically the reasonable way and most successful strategy is to weigh the frozen yogurt cup and charge customers by the ounce for his or her frozen yogurt purchase. The consumer then pays you a certain amount of money per ounce. This is really fairly simple to accomplish. First, research your options and ascertain what price per ounce you intend to charge your clients in order to make a profit. Next, you will want to buy at minimum two price computing scales which display weight in oz . for each frozen yogurt shop because the weight from the items is important to your operation. If one scale were to fail for whatever reason, you would have another on hand. And with the two scales available, you can now charge customers for his or her frozen yogurt and get paid dollars per ounce. You merely fill up the cup with frozen yogurt, put it on the scale and acquire your price per ounce. So if a customer or an employee, depending on your store arrangement, adds more or less yogurt to a “medium” size cup, the consumer is purchasing what they received and the store is being paid on what they sold.